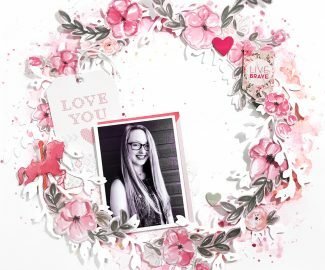 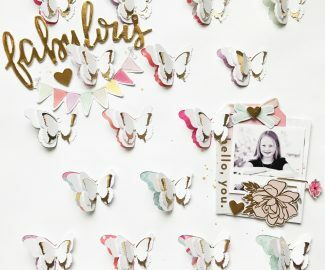 Today I am sharing a layout I made using the May 2018 Hip Kits! 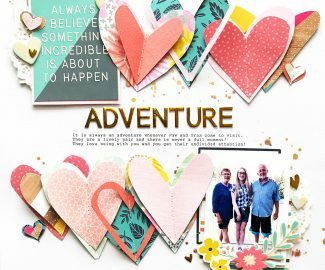 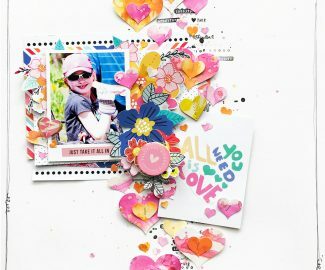 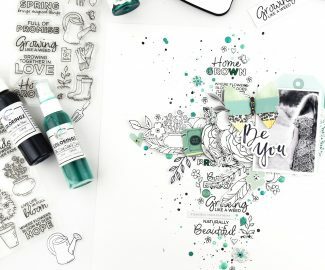 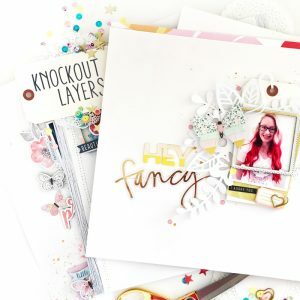 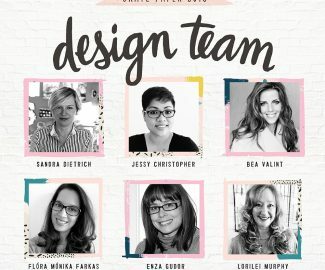 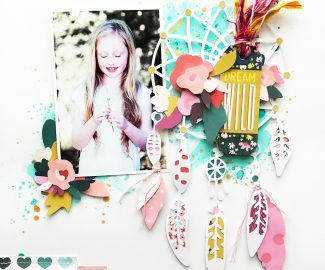 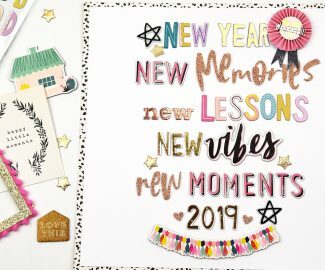 My assignment was to use the gorgeous June Moodboard by Irit and the Pick Me Up alphabet stamps! 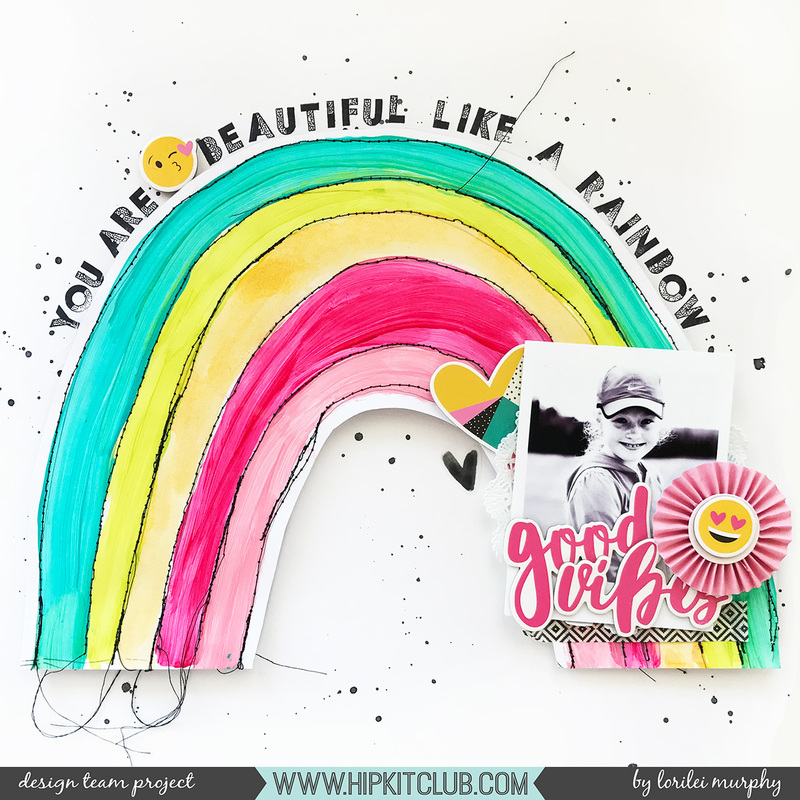 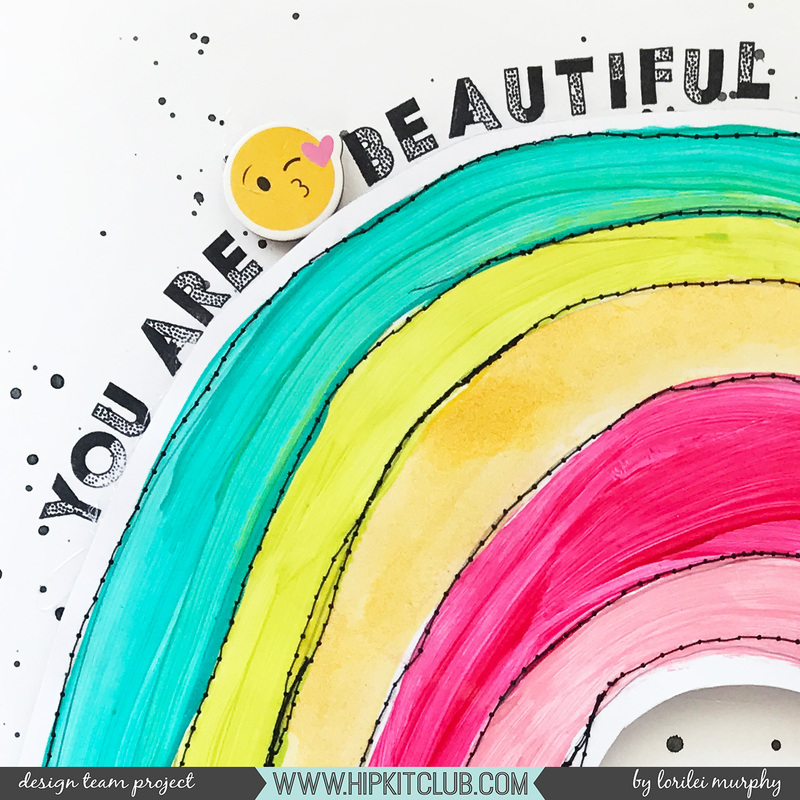 I was drawn by the rainbows in the moodboard and used the Vicki Boutin paints in the May 2018 Color Kit to make my rainbow! 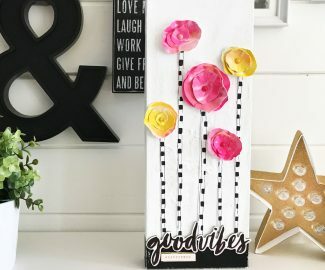 I painted it on white cardstock and added messy black stitching and then popped it up on a white background with black splatters. 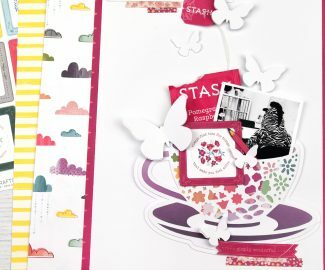 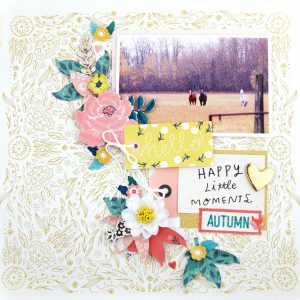 The super cute chipboard from Simple Stories and a rosette from Crate Paper finished it off! 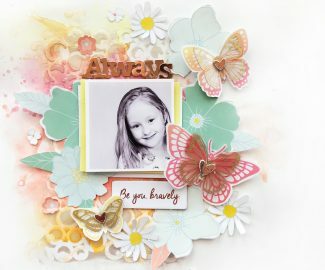 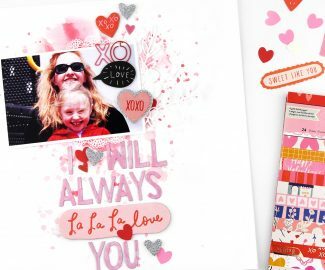 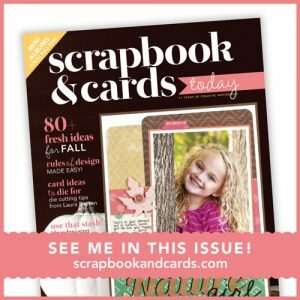 Be sure to check out the June Moodboard and get your stamps out!